Brushing is the most basic part of your dental care regime. It is such a common part of our morning routine that we don’t even think twice while brushing our teeth. While most of us do it, not everyone follows the best brushing practices. Brush Twice Daily: We have all have heard this advice. 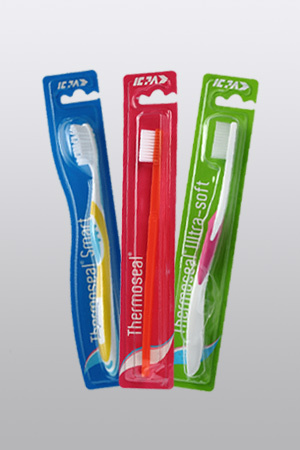 But, as per a survey on oral hygiene conducted by NCBI, 82.1% of the respondents brush only once a day. It is also recommended that each of the two times should last for at least for 2 minutes. To make this more efficient, you can divide your mouth in four parts and brush each part for 30 seconds. Doing something you enjoy, like listening to music or watching TV while brushing can avoid boredom and keep you from getting tired. Avoid Overbrushing: Brushing too many times a day is not good for oral hygiene either. In fact, it causes more harm than good. Brushing too much can erode enamel, the outer shell of your teeth, and even damage your gums. Do It Right: The right way to brush your teeth is to hold your brush at a 45-degree angle to your gums. Making short, gentle and up-and-down strokes cleans your teeth properly. You should also avoid brushing too hard as it can cause damage to your gum and tooth. It is vital to brush all parts of your mouth regularly, including back molars and tongue as plaque can deposit over time. Watch When You Brush: Many suggest brushing after meals. While sound advice, special care should be taken on how long should you wait before you brush. Foods like diet sodas, energy drinks, coffee, citric fruit juices, etc. are acidic and soften your enamel. Brushing immediately after will cause your enamel to wear off which is detrimental to your teeth. You should wait for at least half an hour after consumption of such foods before brushing. Choose your Dental Care Equipment Carefully: Most of us don’t give a lot of thought about the kind of toothbrush we purchase. If the toothbrush is too big, you will would have to strain too much while brushing. It may not even be able to reach all parts of your mouth. You should also choose a brush that has soft bristles as hard bristles can damage your gums. If you use a whitening toothpaste every day, it can be harmful to your tooth structure. To avoid this while brightening up your smile, you can alternate between a plain old fluoride paste and a whitening paste. Other oral care products like dental floss and mouthwash should also be used on a regular basis. We, at ICPA, offer specialized products for your oral problems. We have a wide range of products like toothbrushes, anti-tartar paste, desensitizing pastes, mouthwashes, and much more to ensure complete well-being of your dental hygiene. Denture Adhesive – Complete Overview, Part 1Are You Flossing your Teeth the Way You Should Be?